Will Rothschild is the RTC correspondent for the Southern and the Atlantic Sun conferences. He can be found on twitter @warothschild. The Arrival of Adjehi Baru. The highest-rated prospect ever to choose the College of Charleston, Baru is a 6’9″ native of the Ivory Coast who picked the Cougars from a final group that included North Carolina, Maryland and Virginia Tech. Bobby Cremins has always been known as a great recruiter – if not exactly John Wooden on the bench – but this was clearly his biggest coup since he beat out North Carolina, Georgetown, St. John’s and Syracuse for Kenny Anderson back in 1988. Though Baru has only been playing basketball a short time and his offensive game is a major work in progress, he quickly established himself as a game-changer on the AAU circuit and shot up the recruiting rankings, eventually settling in as a consensus top-five center prospect. He will be an absolute load to deal with in the SoCon. After his eligibility was initially held up the NCAA Clearinghouse, he was cleared to play this season in early October. The Big Dogs Are Back: Will it be Davidson or Chattanooga? The two most tradition-rich programs in the Southern Conference are back on top this season and appear head and shoulders above what otherwise looks to be a very balanced league. Each team returns four starters, top-notch point guards, and a nice blend of versatile wings and size in the post. They also have coaches – Bob McKillop at Davidson and John Shulman at Chattanooga – who know how to get a team through the SoCon tournament and into the Dance. Davidson will be looking for its 6th NCAA trip under McKillop and its 11th overall, but its first since the team that was a rimmed-out Jason Richards jumpshot from making it to the Final Four in 2008. Chattanooga is also after its 11th NCAA trip, its third in eight seasons under Shulman, and its first since 2009. How Far Will Wofford Fall? After two straight Southern Conference championships and NCAA Tournament bids (in which they lost first-round games to Wisconsin and BYU by a combined 12 points), the consensus is Wofford won’t be much of a threat in 2011-12. Coach Mike Young, who has turned down a couple of overtures from other schools the past two springs, watched five of the most celebrated players in program history graduate in May. But even with POY Noah Dahlman, the two title teams were more a testament to Young and his staff’s ability to bring the right kind of players to Wofford, one of the most challenging liberal arts colleges in the South. Indeed, those teams always had a sum-is-better-then-their-parts ethos about them. Meanwhile, Young and his staff are excited about their past two recruiting classes, including a freshman group seven strong. Expecting the Terriers to win 20 games for the third straight season isn’t realistic, but in his 10th season Young has this program rolling and stocked with young talent that will keep the Terriers from slipping very far down the standings. Will Appalachian State be better WITHOUT Donald Sims? While the 6’1″ Sims was a dominant scorer (21 PPG in 2010-11) he also dominated the basketball, and his teammates deferred too much at times to his one-on-one offensive ability. With the graduation of the school’s all-time leading scorer and 2010 SoCon POY, the sense around Boone is that Jason Capel’s second team will be much more balanced and difficult to defend. Omar Carter, a 6’5″ forward, is back after averaging 16.3 points and nearly 6 rebounds, and 6’10” center Isaac Butts returns after missing all of last season with an injury. 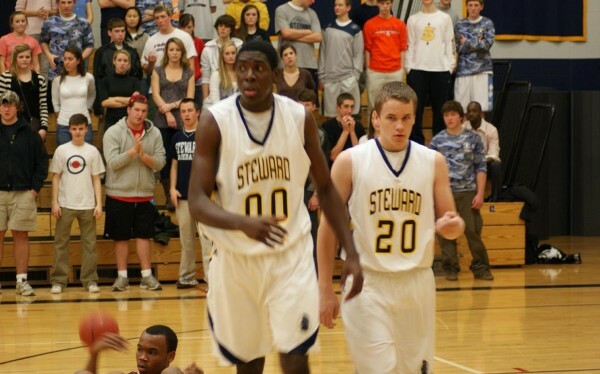 As a junior in 2009-10, Butts averaged 8.5 points and 8.1 rebounds, and he makes Appalachian one of the few teams in the league with someone to physically match up with Baru. Capel also welcome a pair JUCO transfers – Rodney Milum, a 6’0″ guard from Houston, and Jamaal Trice, a 6’6″ forward from L.A. – who are expected to step in and contribute immediately. Are you going to the Western Carolina vs Chattanooga game tonight? No, you’re not. Come back on Valentines’ Day, and bring the Purel. The Southern Conference announced yesterday that Thursday’s game between the Mocs and Catamounts has been postponed because of a flu outbreak on the Chattanooga squad. Four players have tested positive for the disease, and two others are feeling lousy and waiting on results. Because of this team-demic and one player who was to serve a suspension on Thursday night, the Mocs would have been down to just five players. Keegan Bell Leads the Mocs In Assists, But We Hope Nothing Is Passed To or From Him Over the Next Few Days -- Get Better, Fellas! The plan is for the sick players to be quarantined for 48 hours and then reevaluated, and the game is rescheduled for February 14th at WCU. Yes, four days from now. Now, we’re not infectious disease experts around here, but it would seem to us that, depending on when some of those six Mocs got sick (Chattanooga lists 12 players on its roster), even if they’re feeling better, they still might be ill or at least shedding virus and therefore able to infect anyone close to them. But the conference must go on, and while UTC (14-11, 10-3, 2nd) has all but secured itself a sweet seed in the upcoming SoCon Tournament, WCU (11-13, 7-5, 5th) needs every win in order to separate itself from a group of teams in the middle of the pack. So the game will be played this Monday, and the ailing Mocs will be pushing the fluids, covering their coughs, and washing their hands like crazy between now and then. Feel better, guys. Quick Hits – The Southern Conference is beginning to take shape after just two weeks into the “second half” of the 2009-10 college basketball season. The standings look awfully familiar to last season with the North led by a tie between Western Carolina (3-1) and Chattanooga (3-1). The South Division is being lead by the College of Charleston who has a perfect 5-0 conference record. The question that is starting to take shape around mid-majors is can the SoCon put two teams to the big dance this season? In my opinion, in order for the SoCon to have two invitations to March Madness the Catamounts would have to earn somewhere around 24-25 wins. The other half would be to have WCU face College of Charleston in the finals trying to convince the committee that wins on the road against Louisville & Bradley will be enough to get the Catamounts into the tournament if Charleston wins the SoCon tournament. Other Notes — Don’t sleep on Wofford and Chattanooga who both have started to get hot in recent weeks. 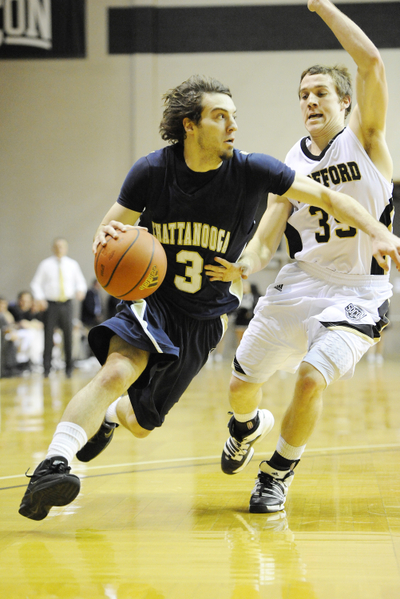 Wofford on a four-game winning streak and Chattanooga on a six-game winning streak. Most Disappointing Teams — Now that Georgia Southern has gotten its first win in conference the Elon Phoenix are clearly the worst team in the Southern Conference so far this season. The Phoenix have been getting blown out almost every game and sit at just 3-13 overall. Sizzling players — Appalachian State’s Donald Sims is playing his best basketball of the season after scoring 44 points against Davidson and has led the Mountaineers in scoring in ten games this season. Furman’s Amu Saaka has played well lately scoring 30+ in two straight games against conference opponents. Sat. Jan 16th – Davidson@Wofford, Spartanburg, S.C. 7 p.m. – Tough road match-up for a battle of 3-2 records in conference. Wed Jan 20th – WCU@Davidson, Davidson, N.C. 7 p.m. – Western travels to Davidson looking to earn a solid road conference win. Fri Jan 22nd – Wofford@College of Charleston, Charleston, S.C. 7 p.m. – Wofford looks to take down the top team in the Southern Conference on the road. Sat Jan 23rd – WCU@Appalachian State, Boone, N.C. 3 p.m. – Old time rivalry between two teams that really don’t like each other should present a solid game in Boone. Appalachian State (9-7): The Mountaineers have won two straight conference games earning them a 3-2 SoCon record. On January 9th Appalachian State won on the road against Davidson, 78-68, thanks to a stellar performance from Donald Sims who scored 44 points in the victory. On January 13th they defeated Elon 89-65 getting 20 points from Kellen Brand to lead the way. Chattanooga (11-6): The Mocs are riding a six-game winning streak and a 3-1 SoCon record after defeating UNC-Greensboro 58-45 on January 11th thanks to 14 points from Ty Patterson. Chattanooga kept its winning streak in tact after Keegan Bell knocked down a huge three as time expired to shock the Citadel at home, 56-54, on January 14th. Bell finished the game with 11 points to lead the Mocs. College of Charleston (10-6): The Cougars are also riding a nice four-game win streak thanks to two more conference victories this week. Two road wins for the College of Charleston improve its SoCon record to 5-0. The first was a win over the Citadel, 61-55, thanks to 22 points from Andrew Goudelock. The Cougars then beat Samford 78-67 on January 14th with Goudelock leading the way with 23 points. Davidson (8-9): The Wildcats went 1-1 this past week losing at home to Appalachian State, 78-68, but earn a nice road win against Furman, 86-81, on January13th. Will Archambault scored 15 points in the victory. The Wildcats are still trying to find out its identity in the Southern Conference looking for that signature win. Elon (3-13): The Phoenix are currently on a seven-game losing streak and only 1-4 in the SoCon. Elon was defeated by Wofford, 72-55, and lost to Appalachian State, 89-65, in the past week. Elon will be looking to break its losing streak in the upcoming weeks. Furman (8-8): The Paladins have lost two-straight conference games to drop to 2-3 in the SoCon. Furman was defeated on January 9th against UNC-Greensboro, 88-78, but Amu Saaka scored 31 points in the loss. On January 13th Furman lost to Davidson 86-81 with Saaka getting 34 points in that loss. Georgia Southern (4-14): The Eagles earned its first win in conference after defeating Western Carolina at home 81-76. Willie Powers lead the Eagles with 19 points in the victory. The win against the Catamounts stopped a nine-game losing streak for Georgia Southern. On January 14th the Eagles lost to Wofford 71-57 on the road to fall to 1-4 in the SoCon. Samford (7-9): The Bulldogs went 1-1 last week earning a victory against Tennessee-Temple, 62-52, getting 19 points from Bryan Friday in the victory. On January 14th lost at home, 78-67, to the College of Charleston falling to 1-3 in the SoCon. The Citadel (8-9): The Citadel lost two-straight conference games this past week losing to the College of Charleston at home, 61-55, and losing a heart-breaker against Chattanooga, 56-54, on a last second three pointer. The Citadel did get 28 points from Cameron Wells in the loss against the Mocs. UNC-Greensboro (3-14): The Spartans went 1-2 in the past week ending the week by losing to Western Carolina 79-69 to fall to 2-4 in the SoCon. The Spartans started their week off well, defeating Furman 88-78 at home but fell to Chattanooga on January 11th 58-45 on the road getting 10 points by Brandon Evans in the loss. Western Carolina (13-3): The Catamounts started the week with a tough road loss against Georgia Southern, 81-76, with Kendall Russell scoring 18 points in the loss. Western Carolina bounced back with a nice home victory over UNC-Greensboro 79-69 on January 14th. Wofford (11-7): Wofford has won four straight games and three straight conference games to run its SoCon record to 3-2. On January 14th the Terriers defeated Georgia Southern 71-57 earning its eleventh win of the season. Two of the victories came on the road for Wofford at UNC-Greensboro on January 7th (79-62) and at Elon on January 9th (72-55). Quick Hits: Western Carolina is the hottest team in the conference right now with a 6-1 record with its only loss coming against #2 Texas. The Catamounts are coming off a home victory over Wofford 72-67 getting a huge game from senior guard Brandon Giles pouring in 22 points and 5 rebounds to give WCU its first conference win of the season. The Catamounts hosted part of the CBE Classic winning all three of its home games against Arkansas-Monticello (70-44), Binghamton (73-44), and Duquesne (83-77). Western Carolina has an impressive 5-0 record at home in the Liston B. Ramsey Center. The Furman Paladins aren’t far behind the Catamounts posting a solid 5-1 start to its season including a road victory against Appalachian State, 85-82, on Thursday December 3. Junior guard Jordan Miller was lights out scoring 26 points going 4-5 from 3-point land. The Southern Conference opened conference play this week with Samford, Charleston, and Davidson also earning victories. Some of the top storylines from the Southern Conference are Wofford playing tough basketball early after nearly defeating Pittsburgh on the road before losing 63-60. The Terriers held a 10-point lead with ten minutes to play after junior preseason all-conference honoree Noah Dahlman scored 20 points and seven rebounds to almost shock Pittsburgh at home. Davidson opened its 2009-10 campaign with a tough loss on the road against #10 Butler, 73-62. The Wildcats were only down two points heading into the second half but the Bulldogs pulled away late. Sophomore forward Ben Allison scored 13 points and had seven rebounds in the loss. Wofford continued its solid play by defeating Georgia 60-57 on the road and really boosted the conference RPI with that win. Dahlman was again in double figures with 11 points. Another nice storyline to follow in the next couple of weeks is how good can Furman and Chattanooga could be after both starting the year at 2-0. Two players from the Southern Conference who came through for their respective teams were Josh Bonney (Elon) and Jordan Miller (Furman). Bonney led Elon in scoring for the week, averaging 16.7 PPG in three games last week against Lipscomb, Charlotte, and Coastal Carolina, achieving a career-high 24 points in that season opener against Lipscomb, a 91-86 victory. Miller scored 23 points in the season opener against Lees-McRae in a 88-49 win, then followed up that performance with ten points against Presbyterian in a 68-64 victory.